For now, the inaugural episode of “A Willie Nelson Joint” deals with the subject of Mr. Nelson’s much-abused lungs, which collapsed a few years ago when he was swimming off the coast of Maui. The genial singer-songwriter managed to drag himself back to shore, where he was rushed to a hospital, where he found out that the process of re-inflating a human lung is no kind of fun. While recuperating, Willie got the idea to hack off his famous braids, Samson style, with a pair of scissors. However ill-advised this impromptu makeover was, it did provide Nelson with the opportunity to play a little practical joke on his manager at the time. He seems to have more than made peace with the unpleasant incident now: It’s just another thing to talk about while getting high. 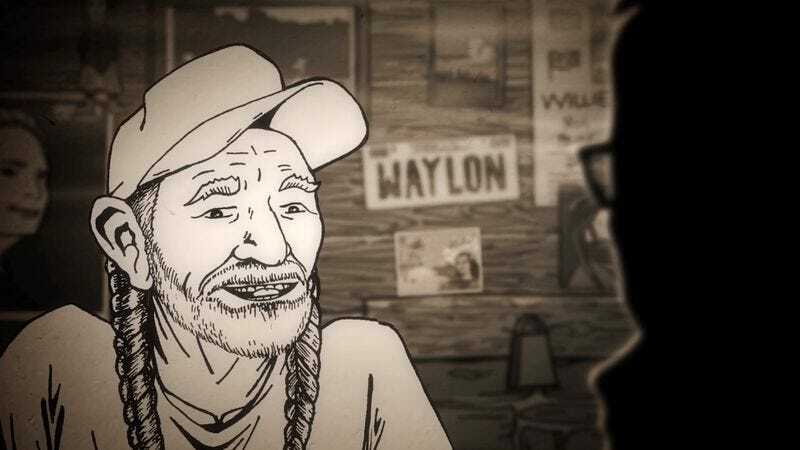 A Willie Nelson Joint (episode one) from Andrew Shapter on Vimeo.